Being the president of Nike has its privileges. And for Mark Parker, who is also the "M" in the HTM trio (along with Hiroshi Fujiwara and Tinker Hatfield), that means cherrypicking Nike's newest technology for your exclusive projects. 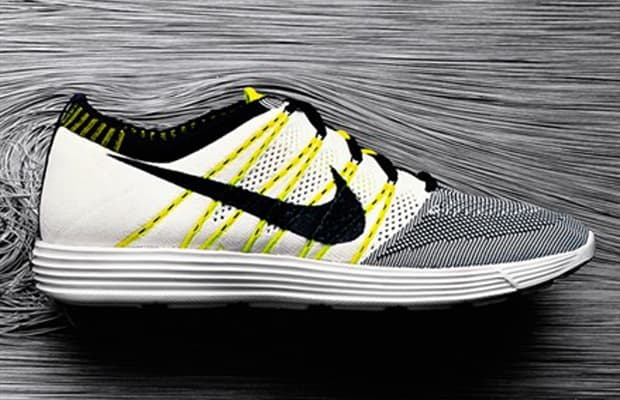 Nike is now able to literally knit running shoe uppers, which both eliminates waste and allows designers to fine-tune support and flexibility in every millimeter. The grand unveiling will come at London 2012, but Parker and his cohorts turned out HTM versions of the FlyKnit Trainer and FlyKnit Racer to give select consumers a small taste of the new project. We like.